The date I’d like to remember is the 28th February as this will be 2 years to the date that I had a miscarriage. It was one of the most devastating times I have had to endure. Now two years on I’m a lot stronger than I have ever been thanks to having great support. 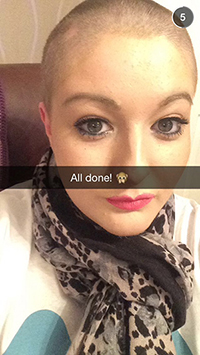 On the 31st of January 2015 I shaved my head to raise money for the Miscarriage Association. I believe I have raised around £400.